Karl-Erik Svensson is experienced in the electrical industry. He runs the company Elektroanalys, which offers services to the electrical industry’s installers. 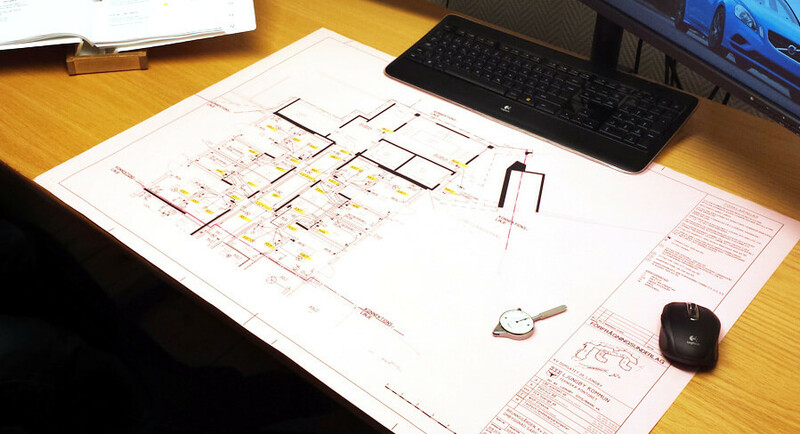 The specialty lies in performing cost estimations in all stages of the construction process. In the early nineties, one began to use the computer as a tool for making estimations. Karl-Erik engaged in this new way of working at once, using the DOS program Elkalk. Since then Karl-Erik has worked with several different estimation tools. Today he uses Bidcon. “At the beginning when I started using Bidcon Electrical, I found it difficult to navigate the database, but a few years ago when it became sorted according to the product groups in the E-number system, it became much easier. Today, I feel completely confident that I will get the right amounts into Bidcon quickly and accurately. – The way of working in Bidcon is much more modern than previous spreadsheets that I have used. Applying the work method and the benefits available in Bidcon can save you a lot of time on each estimation. An example is to use Bidcon’s components (building blocks, production results) and customize them according to the specific object to save time. The contents of these components are well-developed and will take you almost all the way. The fact that production results and building types are arranged according to the E-number catalog makes it easy to work with Bidcon, If I am looking for a switch, for example, I know I can look at list 18. – I bought Sitecon in 2006 and today I use far from all the features of the software. The most valuable to me is document management in Sitecon. I have created a folder structure tailored to me and my estimations. I’m so dependent on the document management in Sitecon that I could not manage without the software today.